So you’ve just invested in the latest technology: a 3D TV, but did you know that 3D has been around almost as long as cinema itself. 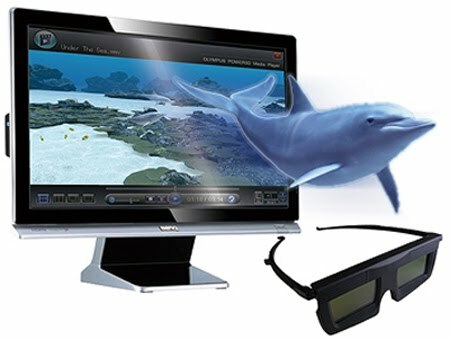 The true name for 3D pictures is stereoscopic. As with sound (you have two ears) we have two eyes so we see from two slightly different points of view and that is translated into 3D by our brains. It has always been easy to shoot in 3D: 2 cameras close together can film the same way as our eyes see. Viewing the pictures is harder though. If you are looking through a “Mattel Viewmaster” which I had as a kid, it’s easy to separate the images as each eye has it’s own eye-piece, like a pair of binoculars. When you are viewing a screen though, it’s a bit harder. In the days of black and white it was easier to separate the images. One image was tinted red and the other green. Then both images were shown on the same screen and you viewed with special glasses with each lens tinted to correspond to the image that the eye was supposed to be seeing – it looked a bit weird if you didn’t have a pair of 3D specs though! Then along came colour and that messed things up. Various ways were tried for colour movies that also used colour as the method to separate the images. That really messed with the whole look of the film though and didn’t really catch on. As technology has improved we have begun to use polarization, as light is a waveform, (explanation of Polarization) but the principles remain the same.